The police may come to your home, workplace, or school for several reasons. They may be investigating a crime, safety threat, pursuing a suspect, looking for a missing person or someone in need of protection, or may have received a complaint from the public. All of the general rules of behavior for a stop on the street or in a car also apply when the police come to your home or office. You may ask the police for appropriate identification, as well as for the reason for their visit. Unless the police have a warrant, you do not have to permit them entry to your home or office. If the police ask for your consent to enter or search your home or workplace, you do not have to consent. In a polite way, simply state that you do not consent to their entering or searching the premises. This may not stop their entry or search, but it will preserve your right to contest their actions in court. Again, remain calm, respectful, and compliant. Do not argue. Follow all instructions. Urge others to stay calm, respectful and compliant. If the police say they have an arrest or search warrant, you may ask to see it. Check to make sure the arrest warrant has the correct name. Check to make sure the search warrant has the correct address. Make sure you inform the officer before you make any movements so he/she has time to respond. Always keep your hands in clear view — where the officer can see them. Keep your hands open to avoid any concern that you might be about to strike the officer or are holding a weapon or illegal object. Try to maintain eye contact with the officer. Stay as relaxed as possible. Looking around, waving your arms or moving your feet can make officers feel that there is a risk to their safety or the safety of others. If you or others are smoking, the officer may ask you to put out your cigarette. You should comply with this request, as lit cigarettes have been used as a weapon, and the smoke may interfere with the officer’s ability see the area and to do his job. If requested, phones, television or music. If you have a dangerous medical condition or are ill, advise the officer immediately. To protect others in your home or office — as well as the officers — you should identify all individuals who may be on the premises. Identify any weapons or items that are stored on the premises that could pose a danger — even if you have a permit or they are legal. Advise the officers of any animals on the premises that the officers might see as a potential threat. Advise the officers of any object (such as a toy) that might be mistaken for a weapon. If answering questions, be truthful. Lying to the police can result in criminal charges. Never give the officers a reason to believe that you are a threat to them, yourself, or others. Never give the police a reason to believe you might try to flee or destroy evidence. Never pretend not to hear police instructions. Do not argue with — or insult — the officers. Avoid making sudden or other movements. Do not interfere with police efforts to secure or search the premises. The police should only come to your home or office for a reason. They may be investigating a crime or responding to a complaint. They may have an arrest or search warrant. Even if they do not have a warrant, the police may have special (exigent or emergency) reasons to search your home or office. For example, if they are in fresh pursuit of a suspect, or if there is a threat to your safety or the loss of evidence. There may also be an issue of public safety, an ongoing crime, or locating a person in need of protection. 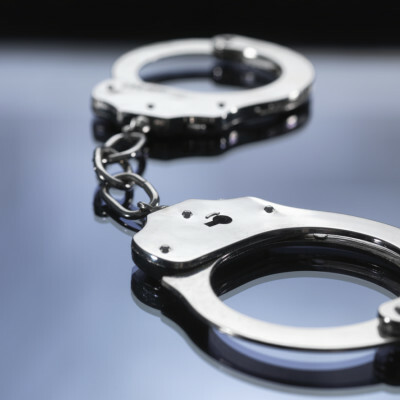 If you are arrested in your home or office, the police can search you and the area immediately surrounding you or where evidence of criminal activity is in plain view. If the police have a search warrant, they can enter your home or office, even without your permission. The police may also ask for your consent to come inside or to search. You do not have to consent. The police may still have a basis to conduct the search, but you will have protected your rights. The police may have the right to secure your premises while they await a warrant from a judge. You also have the right to remain silent. That is true whether you’ve just been temporarily detained or formally arrested. It is helpful for you or others to remember officers’ names, badge numbers, patrol car numbers, and physical descriptions. This information may be helpful later for your defense or to file a complaint. The police, security cameras or bystanders may also be recording the event. Remember to behave accordingly.